With no formal training, 'Cupcake Jemma' began her baking career at the fashionable Dover Street Market outpost of artisan Parisian cafe Rose Bakery before setting up Crumbs & Doilies which began as a market stall and online bakery in 2006. 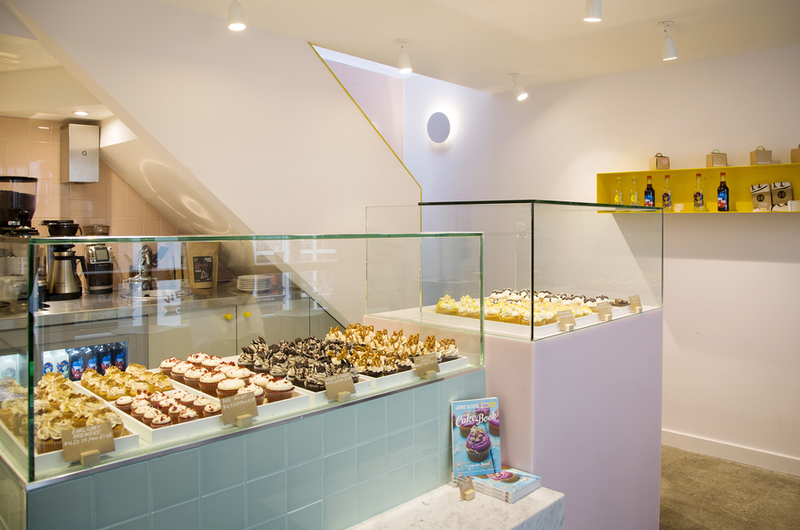 Already a well-known cupcake creator - with over 180,000 subscribers to her Cupcake Jemma channel on the Jamie Oliver Food Tube Network - Jemma Wilson joined forces with Sam Bishop to set up the first bricks and mortar store in Kingly Court at the beginning of 2015. With over 60 flavours to choose from, the in-shop menu changes on a daily basis including sweet-sounding cakes like English Breakfast (made with tea infused sponge and filled with marmalade), Lemon Mess (a lemon-meringue pie in cupcake form), and Cinnamon Toast - a toast-crumb studded buttery sponge topped with cinnamon buttercream and cinnamon sugar. Cupcakes are the main reason to go but there are also drinks and a small area for customers to eat in, with communal seating outside in the warmer months. Crumbs & Doilies gyms, sporting activities, health & beauty and fitness. The best pubs near London Crumbs & Doilies. Crumbs & Doilies clubs, bars, cabaret nights, casinos and interesting nightlife. Where to have your meeting, conference, exhibition, private dining or training course near Crumbs & Doilies. From cheap budget accommodation to luxury 5 star suites see our deals for Crumbs & Doilies hotels, including No 5 Maddox Street London from 75% off.